Downstream moisture will ruin your spray job. Stop failure with our direct in-line filter at the gun. This great dry air spray gun filter will absorb up to one (1) fluid ounce of moisture and insure a perfectly dry system from start to finish every time. 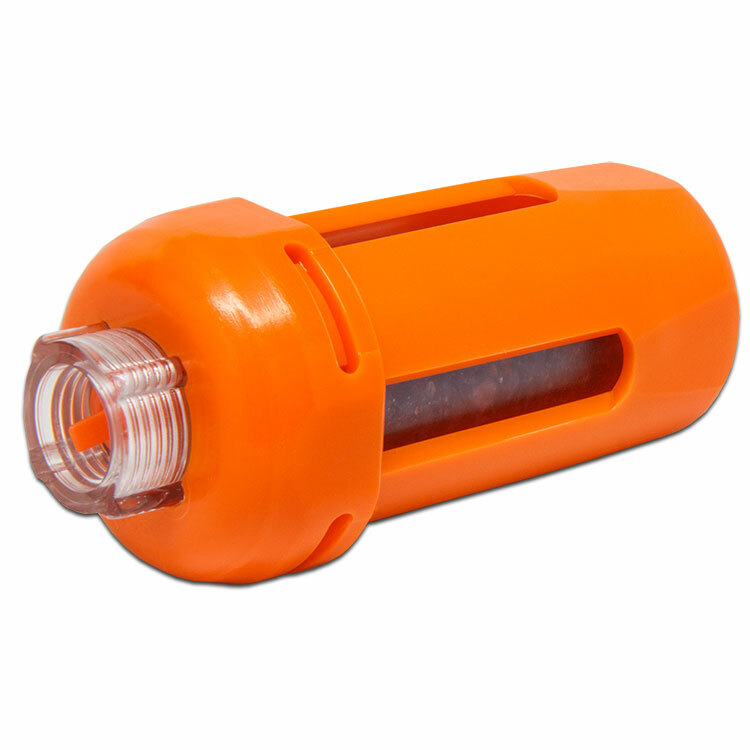 It absorbs oil aerosols, condensed moisture, and contaminants as small as 0.01 microns. It attaches directly to the air inlet of your spray gun and, as air passes between the filter's compressed layers, particles and moisture are trapped. Experienced users know that moisture cannot be present when applying RustSeal ... and even though your spraying system may have moisture traps and filters, codensation may occur in the hose downstream and ruin your paint job. This incredible filtration is accomplished at a true 30 CFM to the spray gun, with minimal pressure drop at the optimum flow rate. This disposable Spray Gun Filter is the answer to the painter's worst nightmare - FISHEYE! But now, with the introduction of High Volume, Low Pressure (HVLP) spray guns using shop air, comes even more critical requirements for clean, dry, oil free air supplying the paint gun. Designed to remove the smallest contaminant particle, oil-aerosol or drop of moisture to supply clean, dry, oil free air to your spray gun. 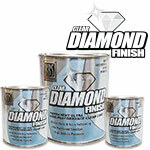 Users report reduced paint defects, resulting in increased productivity with the ultimate final finishes. This filter is light and easy to use. Keeps water and oil from the compressor out of the sprayer. Worked just as advertised. I ended up with a great finish. 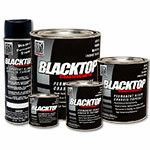 BlackTop is a permanent, moisture-cured, UV stable coating primarily used for topcoating surfaces previously sealed with RustSeal or any other paint/primer application. BlackTop is a high performance protective coating specifically formulated to withstand dulling and fading caused by prolonged sunlight exposure. 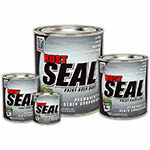 A tough Clear Coat that can be applied Direct To Metal or over other coatings. This water clear high gloss clear coat remains permanently flexible and is able to perform in the toughest environments without yellowing, cracking or peeling.